MTM Case-Gard's EZ-Throw is the original patented design clay target thrower. A one-piece design throws clay faster and farther than most mechanical throws and it will not break or rust. The power curve gives you a smooth throw. So easy to use, whether you are right or left-handed, with a little practice, you will soon be throwing jump birds, curves and ground skimmers! MTM Case-Gard &apos;s EZ-Throw is the original patented design clay target thrower. A one-piece design throws clay faster and farther than most mechanical throws and it will not break or rust. The power curve gives you a smooth throw. 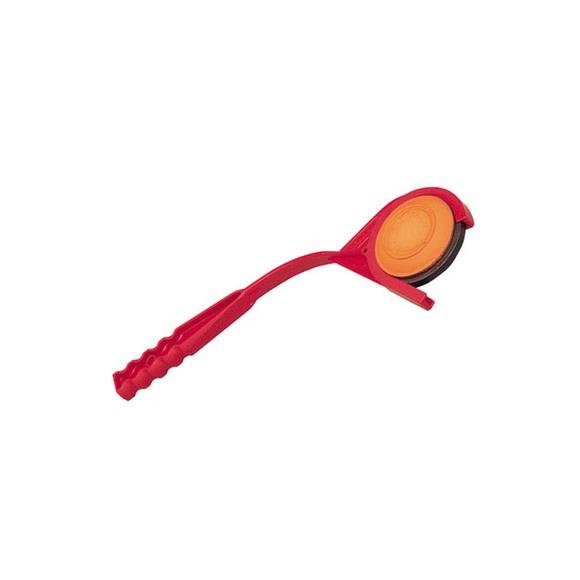 So easy to use, whether you are right or left-handed, with a little practice, you will soon be throwing jump birds, curves and ground skimmers!